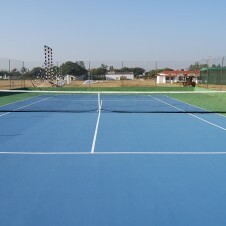 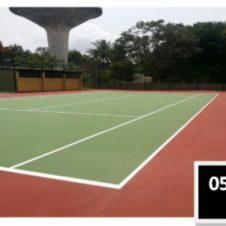 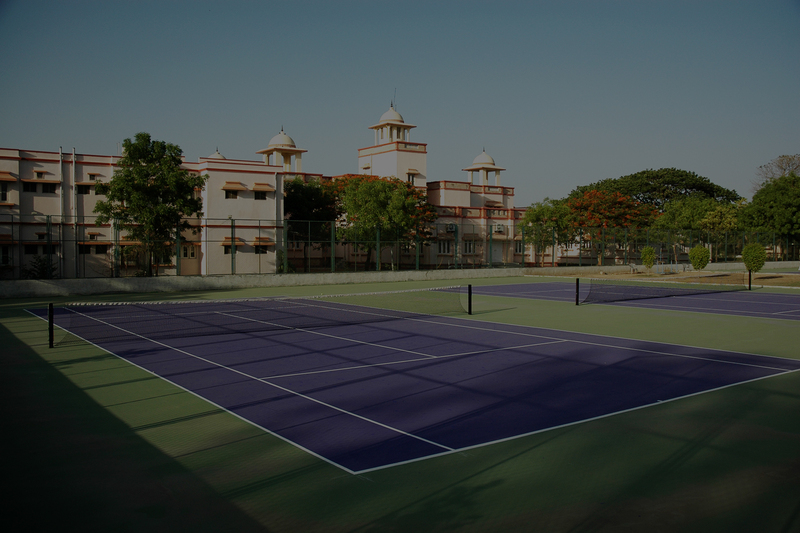 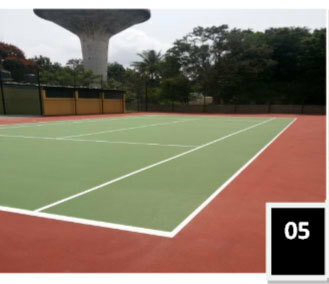 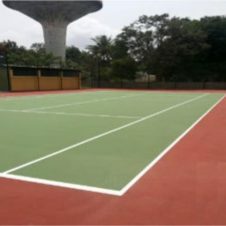 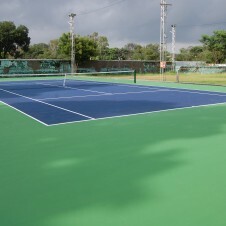 For the first time, PU Synthetic Technology has been introduced for converting existing outdoor cemented court to cushioned synthetic court. 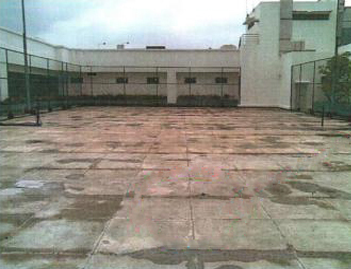 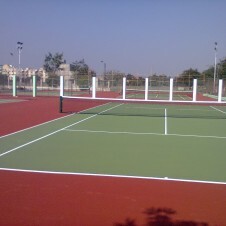 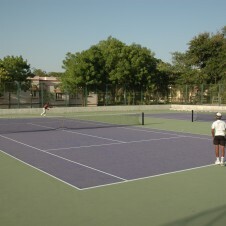 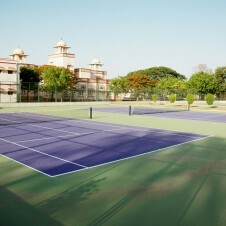 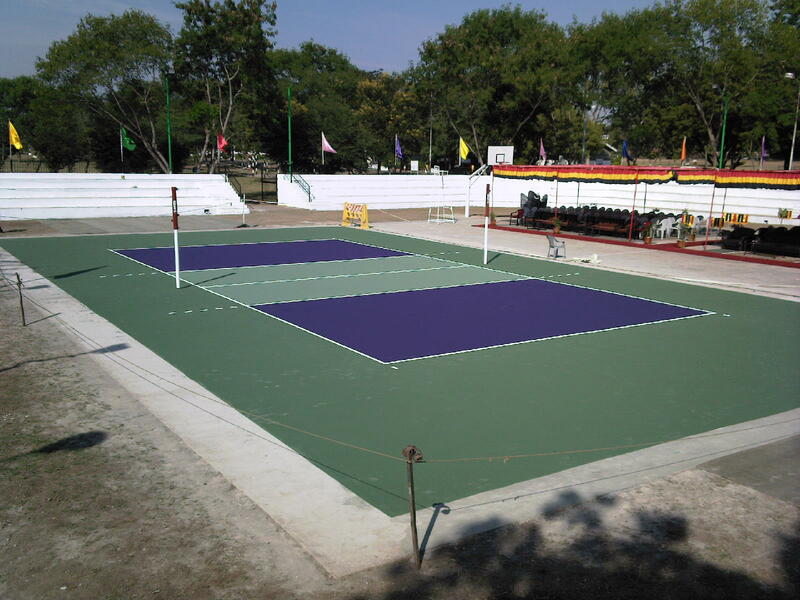 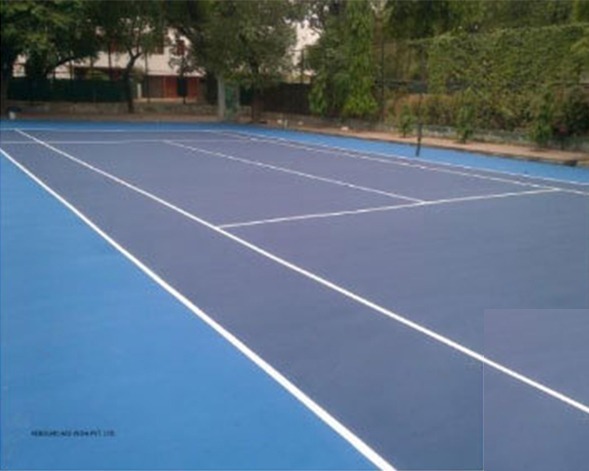 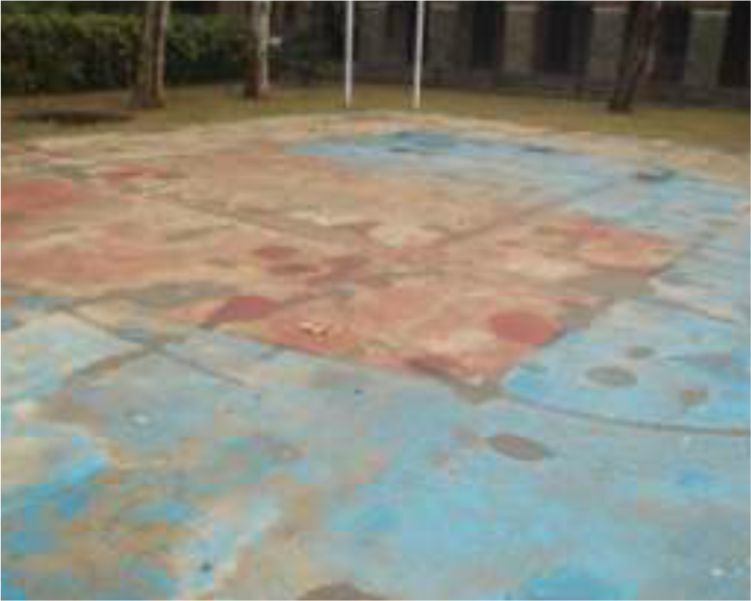 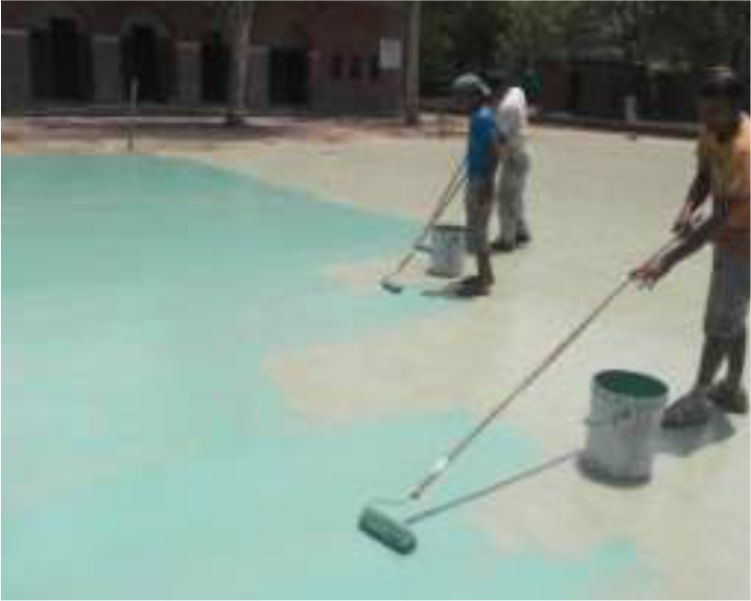 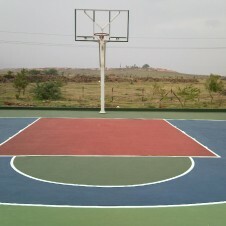 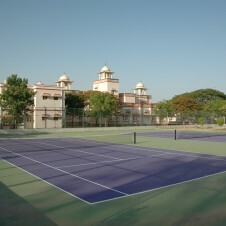 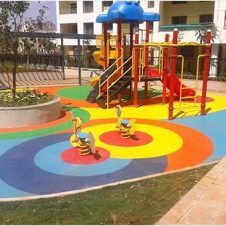 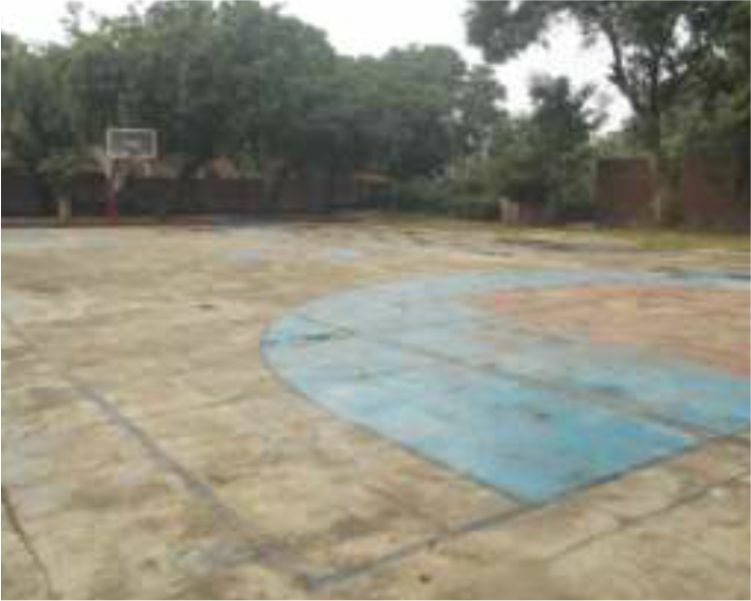 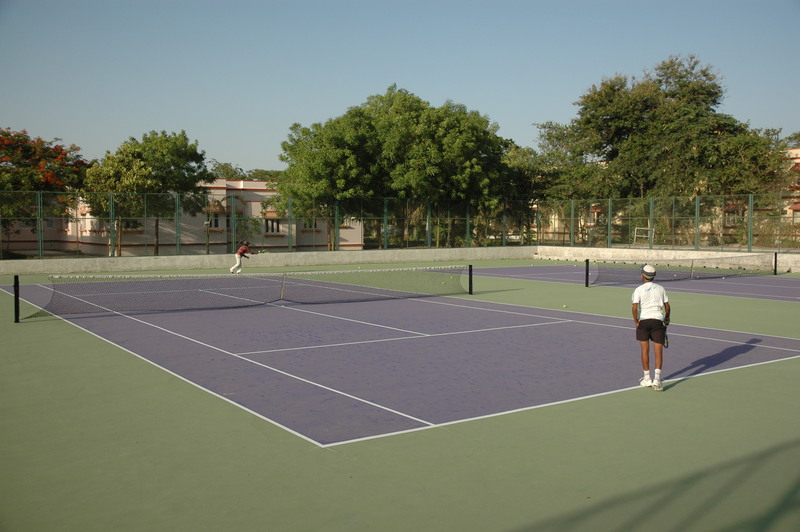 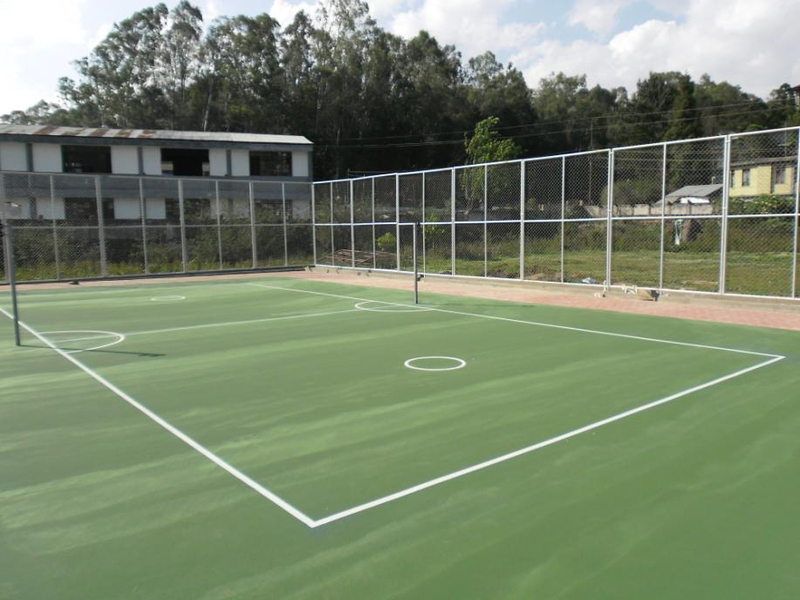 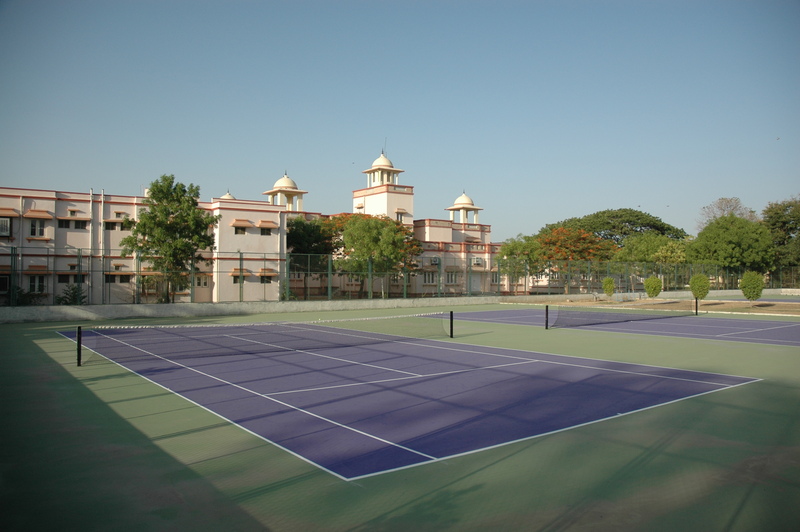 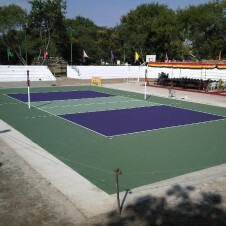 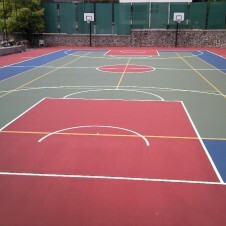 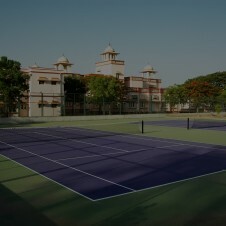 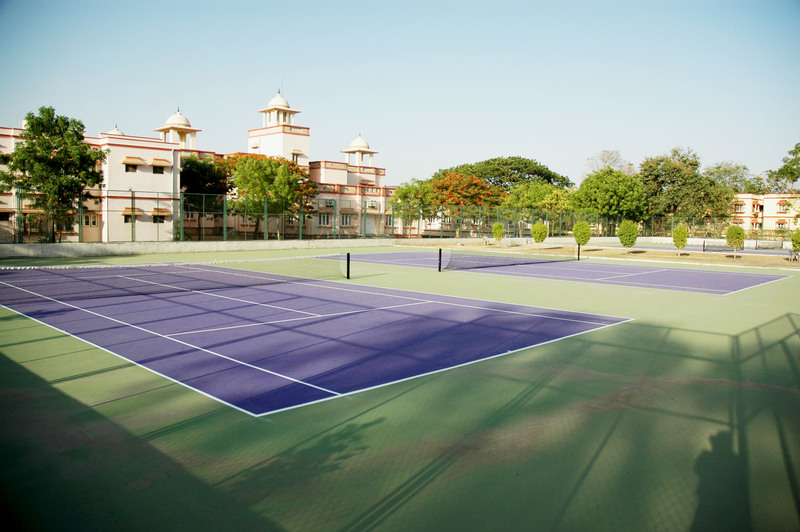 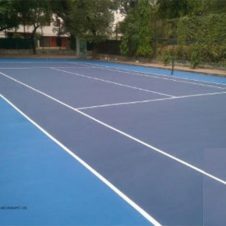 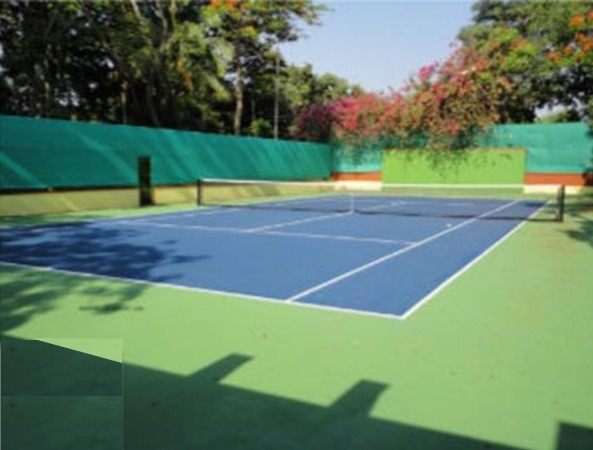 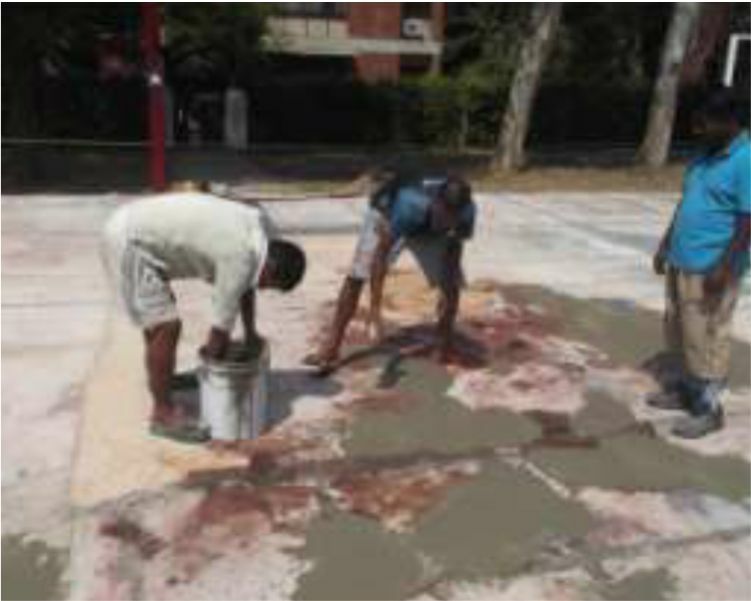 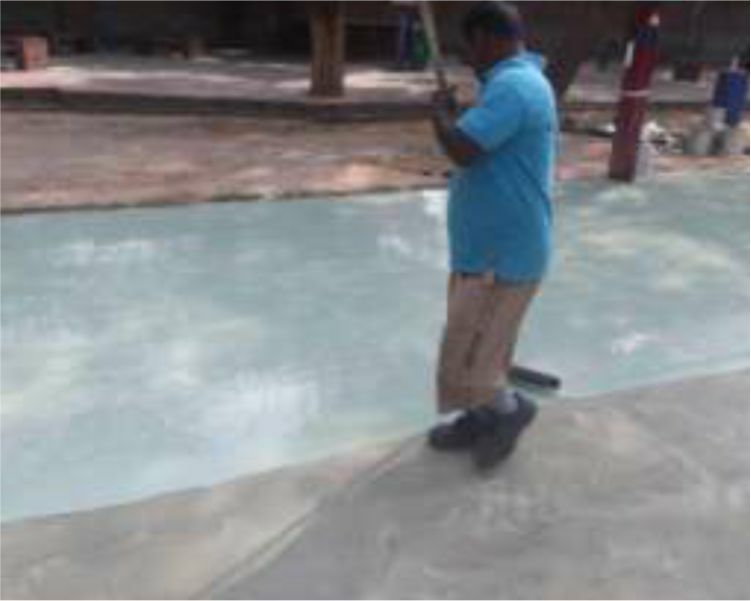 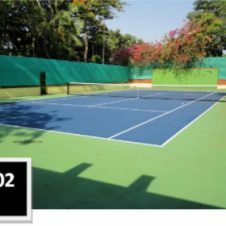 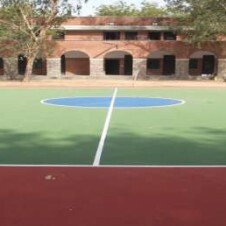 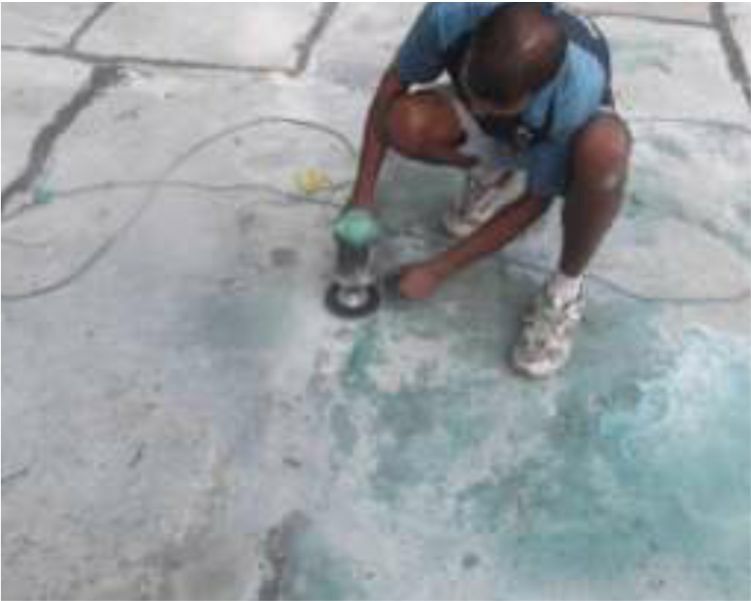 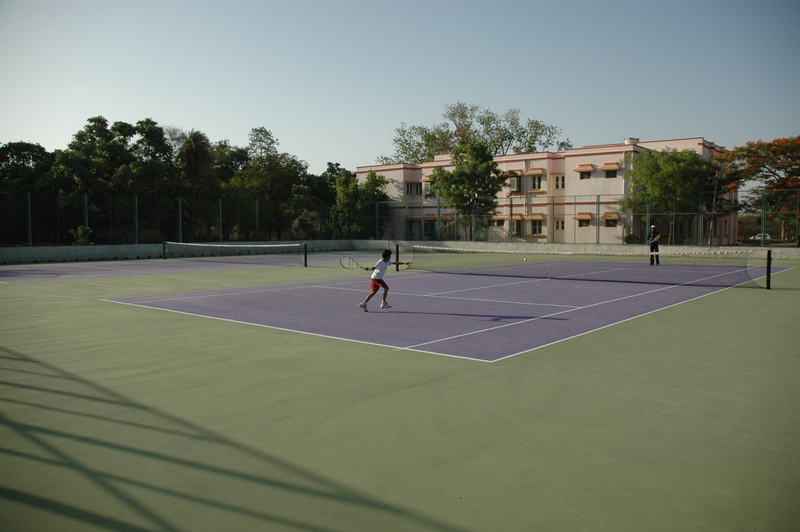 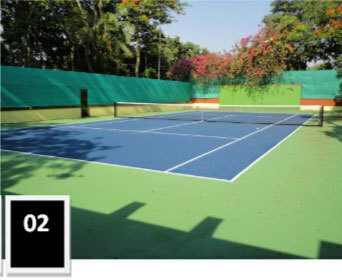 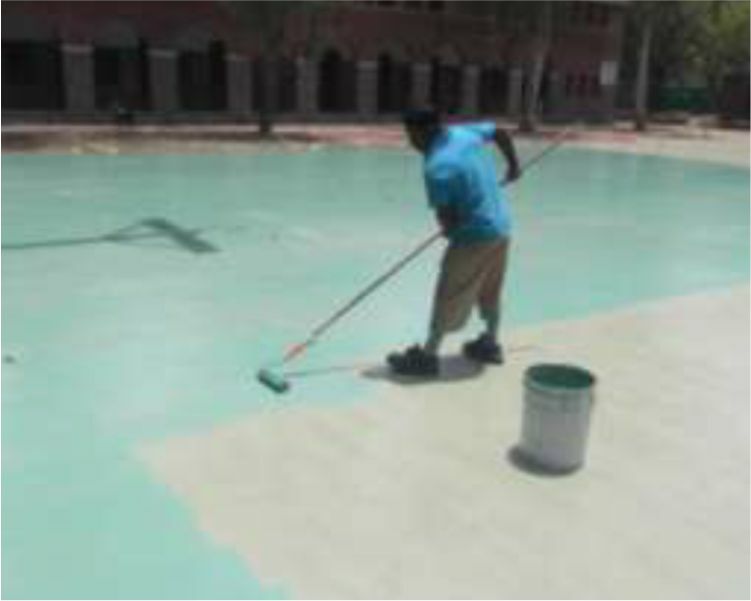 For converting cemented outdoor court, no civil work is required. 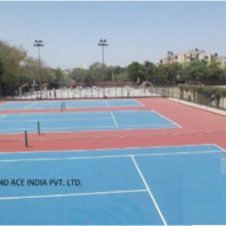 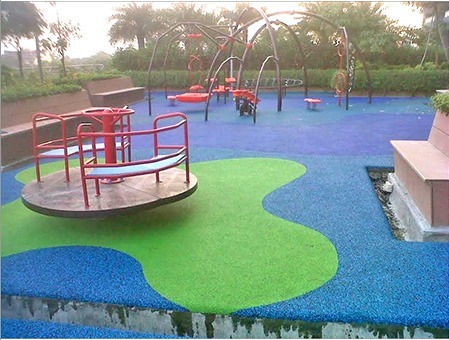 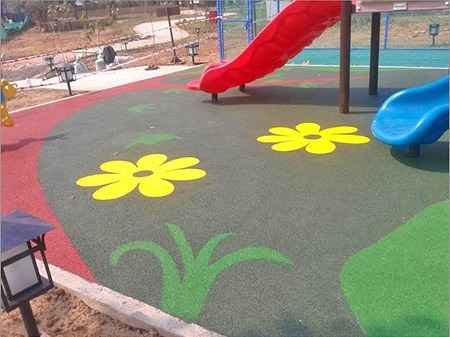 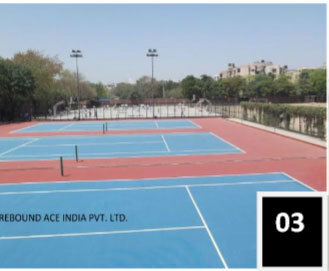 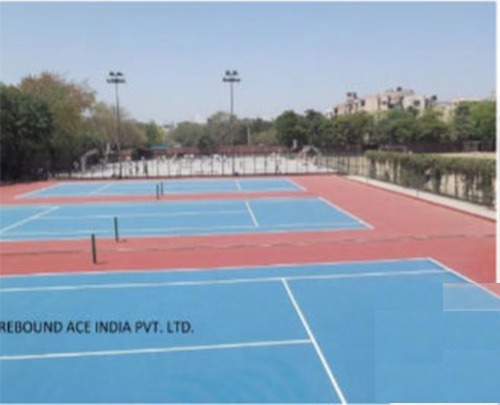 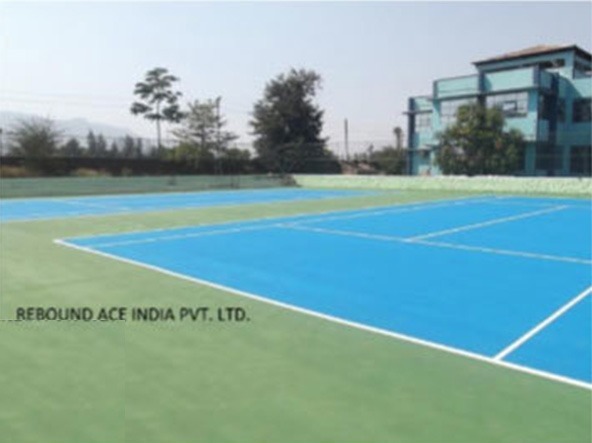 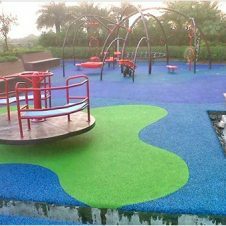 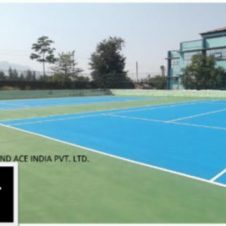 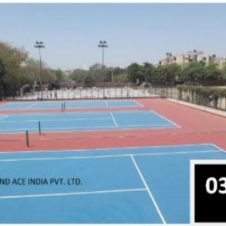 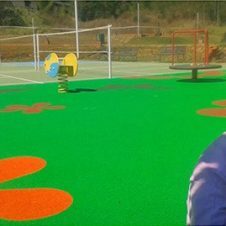 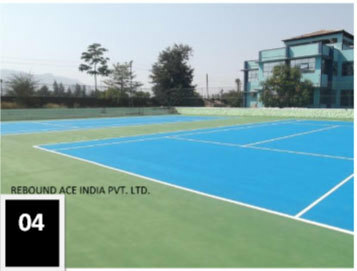 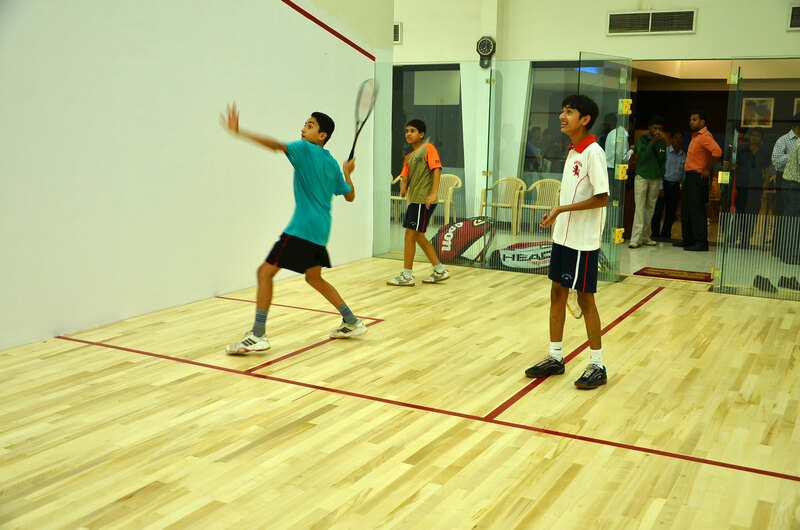 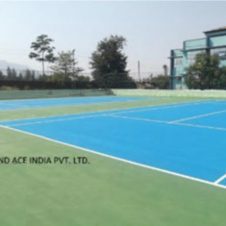 Rebound Ace India (RAI) has introduced PU cushion systems in the country which can be installed both indoor and outdoor for multi sports. 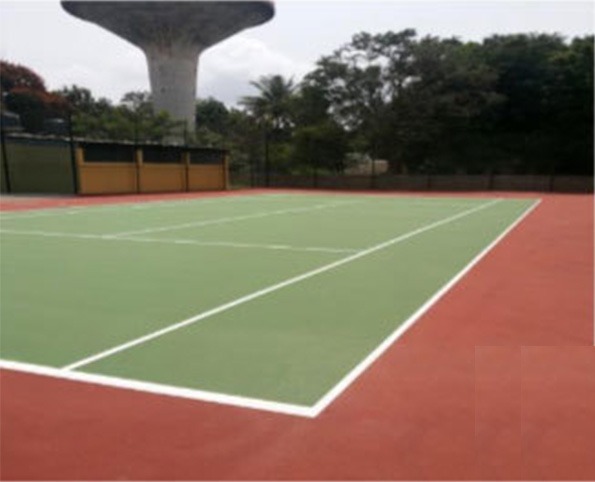 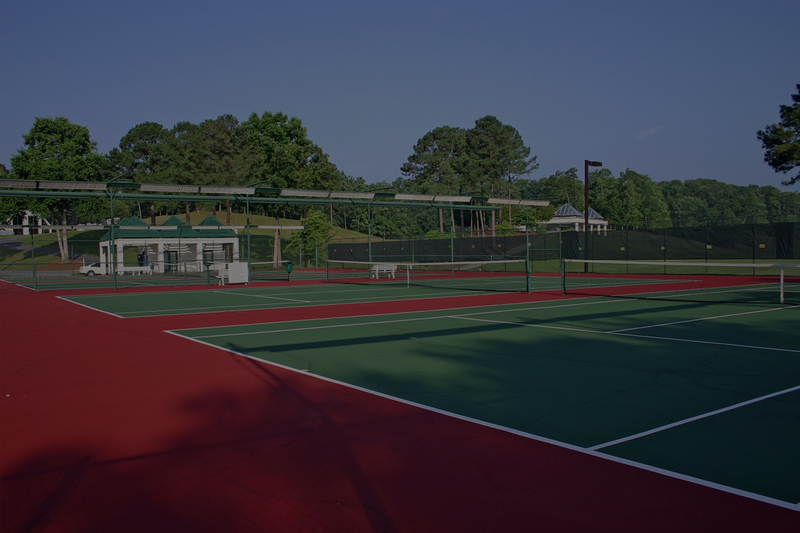 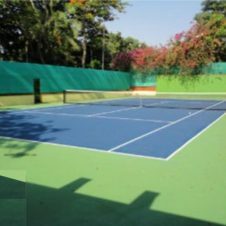 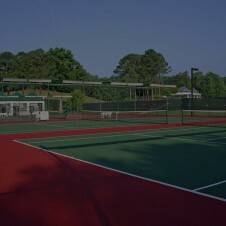 Earlier there was a limitation in converting outdoor cemented Badminton, Basketball and Tennis courts into durable Synthetic courts. 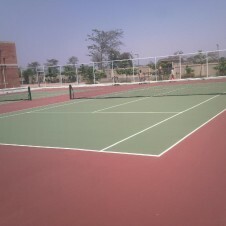 But now it is possible. 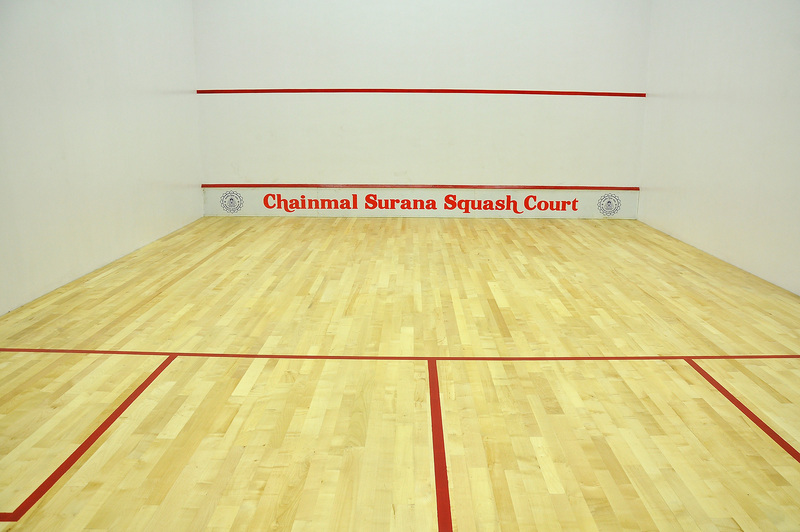 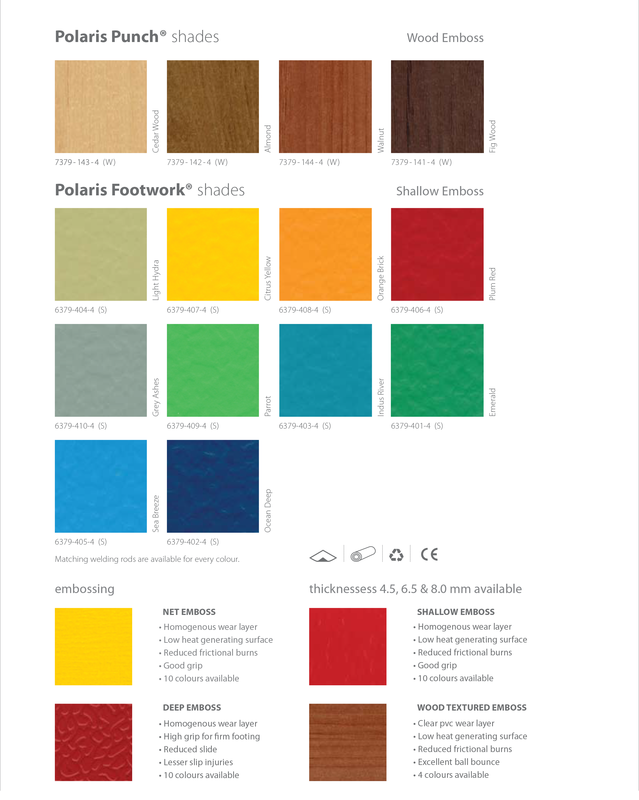 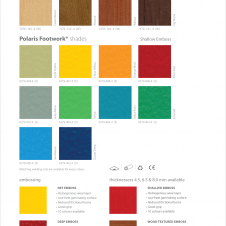 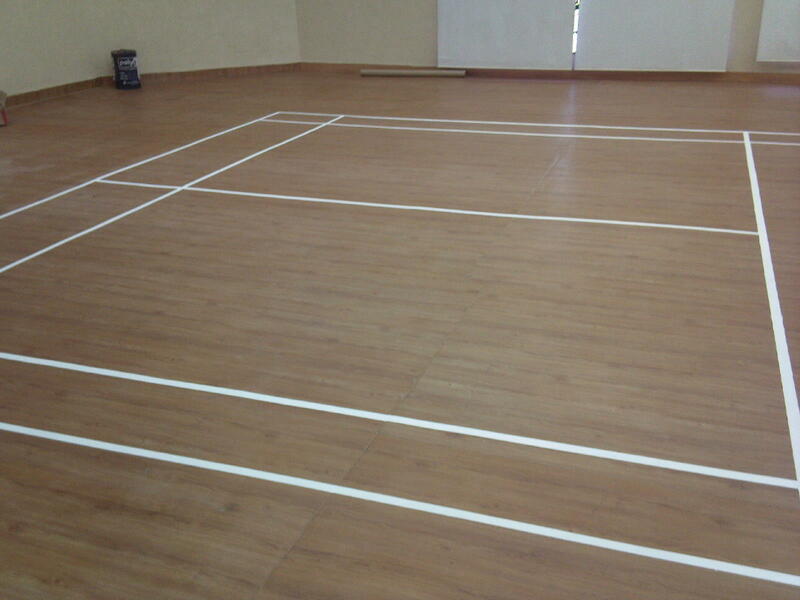 Now our PU cushioned court is not only durable and long lasting but also offer Shock absorption equivalent to Wood. 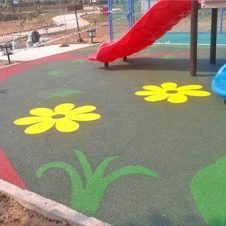 It is washable and TOP coat is UV resistant acrylic coat. 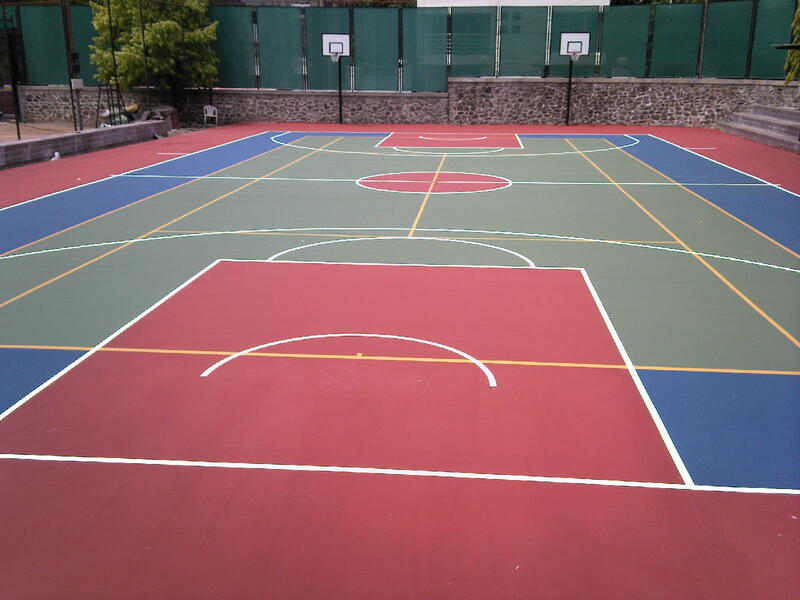 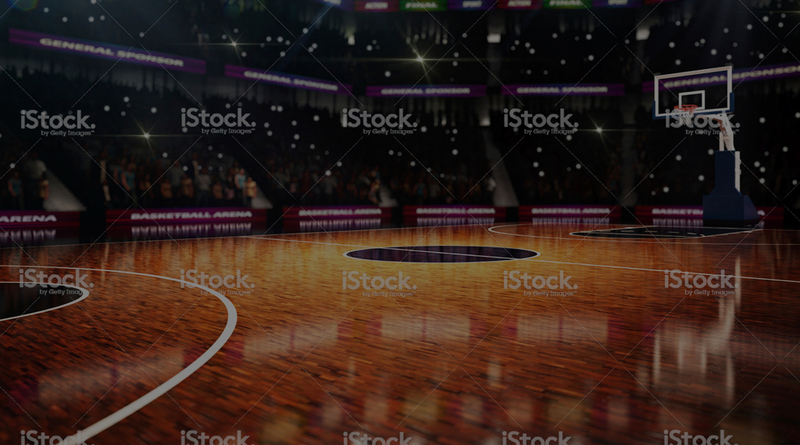 PU Synthetic Flooring is the only flooring which has passed test for International Basketball Class 1 Portable Wooden Floor requirements. 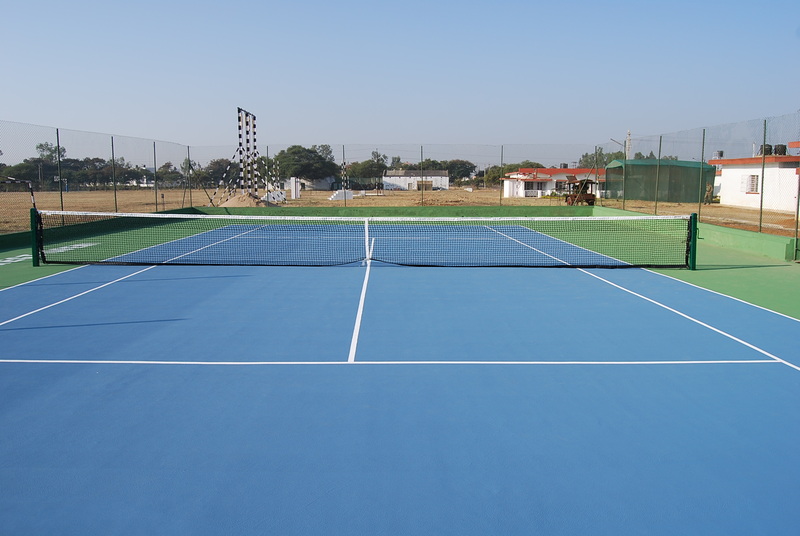 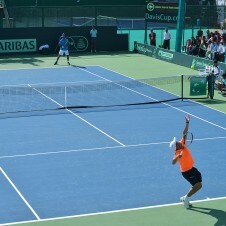 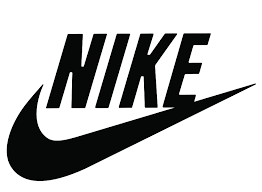 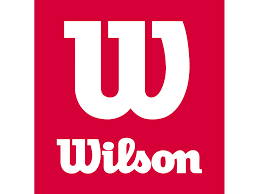 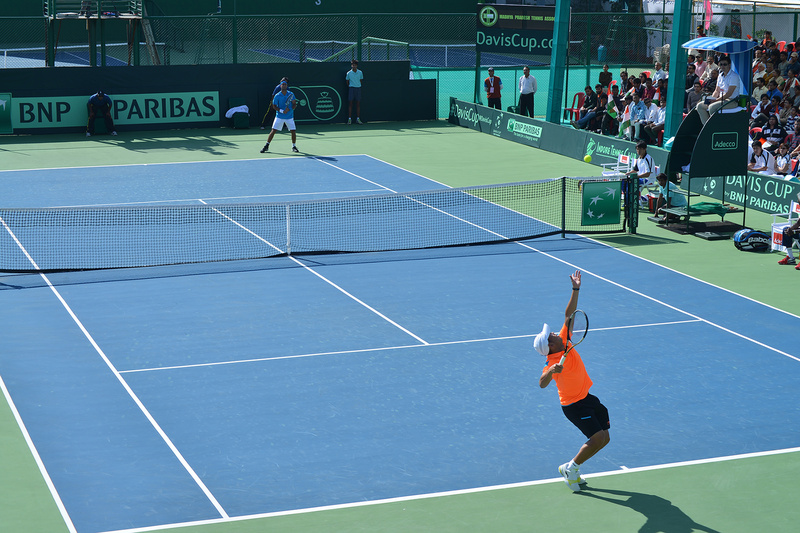 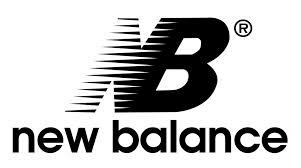 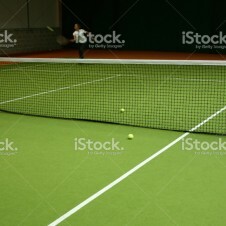 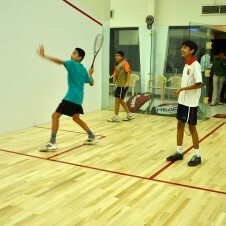 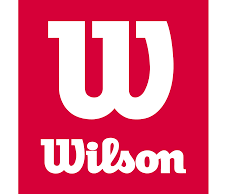 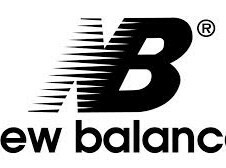 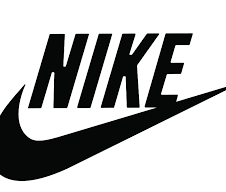 It is also approved by International Tenis Federation(ITF). 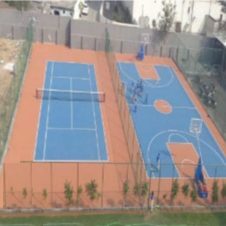 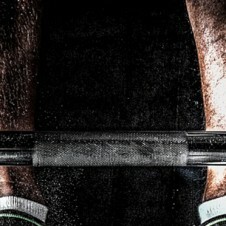 We strongly believe that any sports infrastructure should have the capacity to invite players to play and enjoy their game and promote healthy. 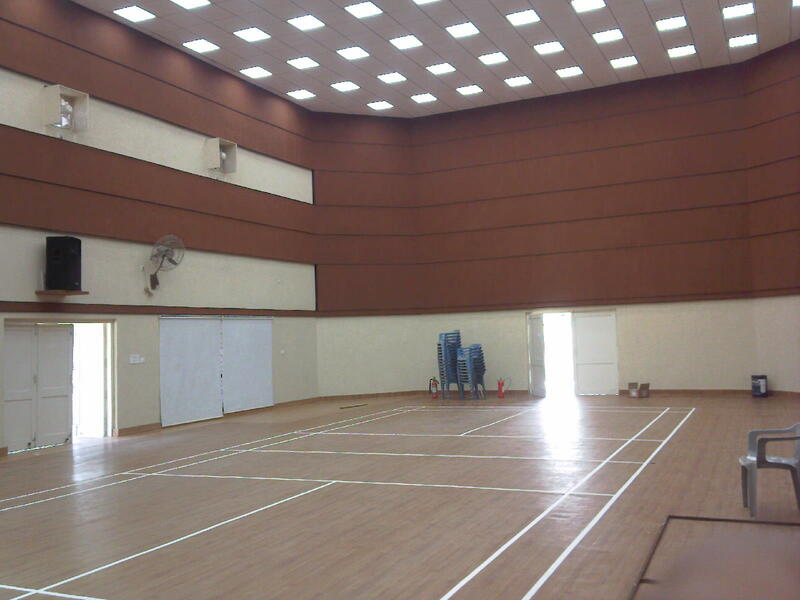 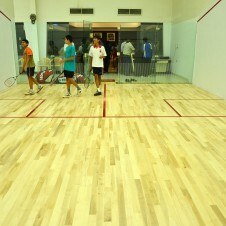 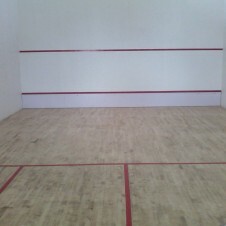 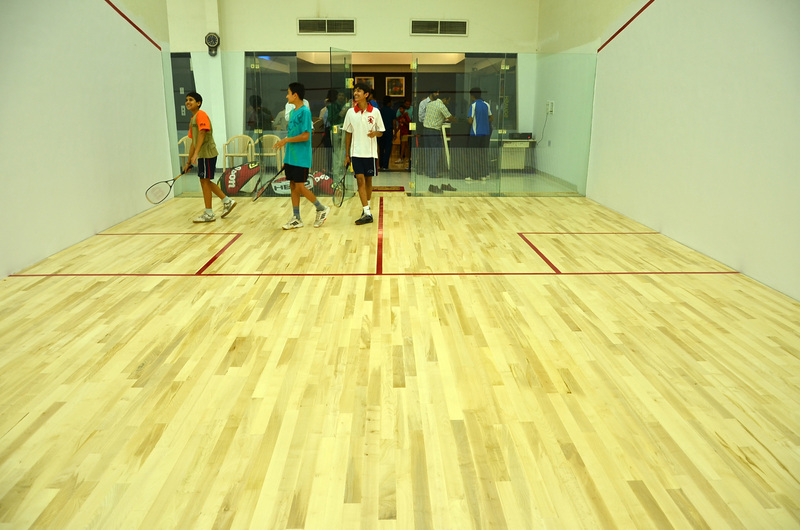 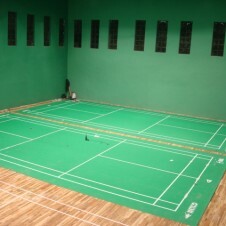 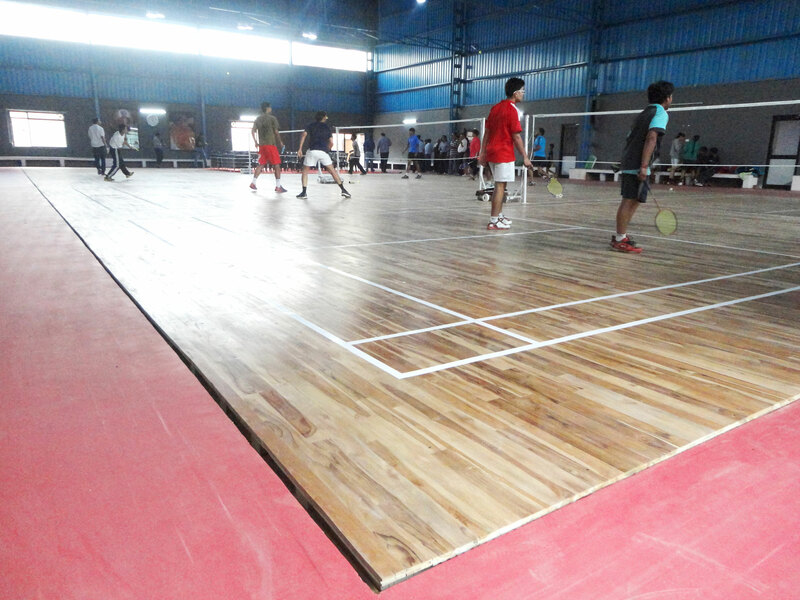 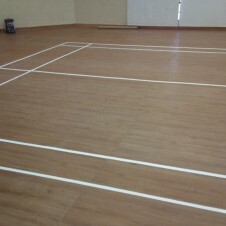 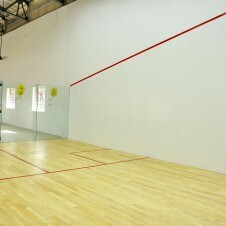 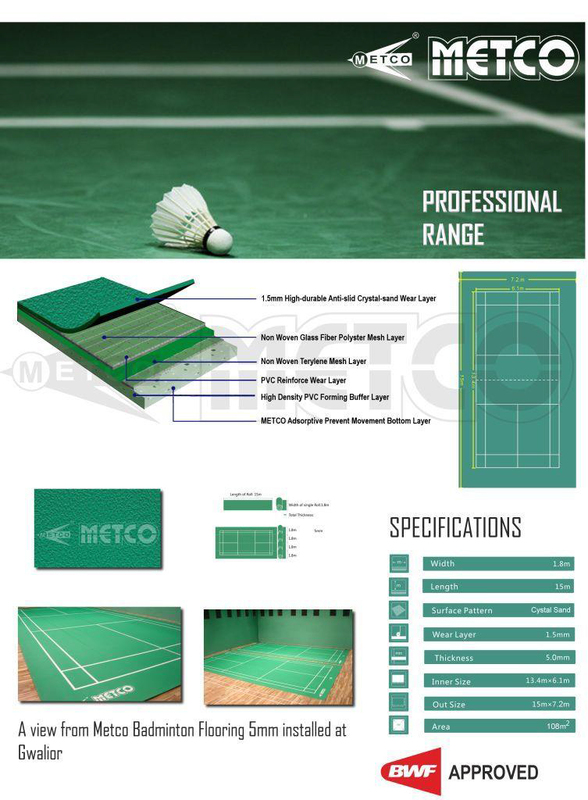 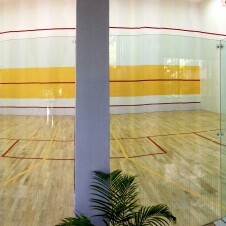 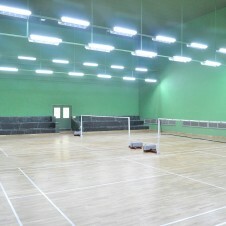 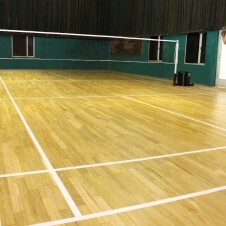 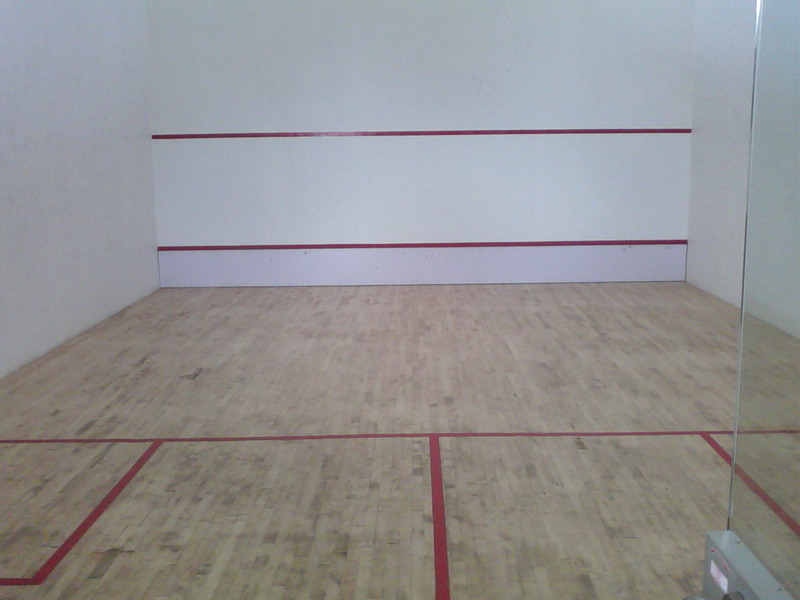 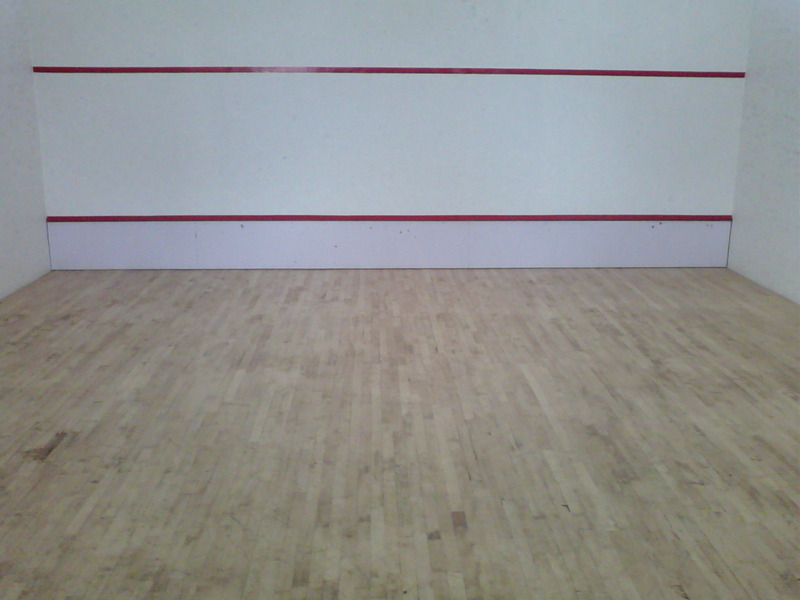 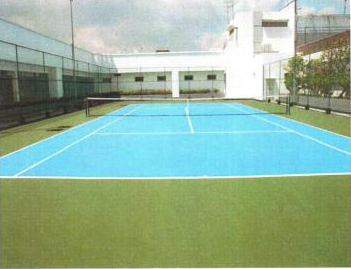 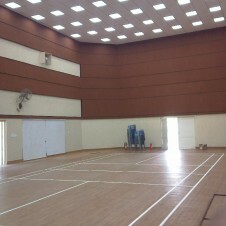 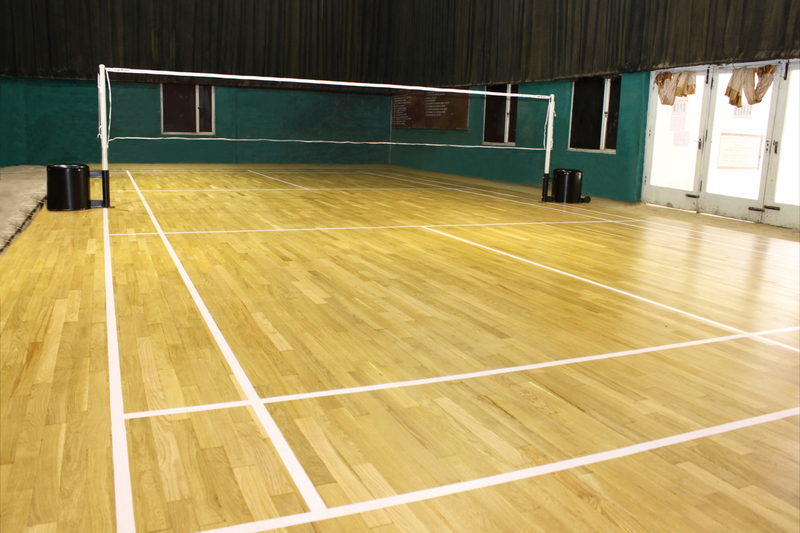 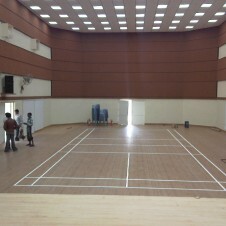 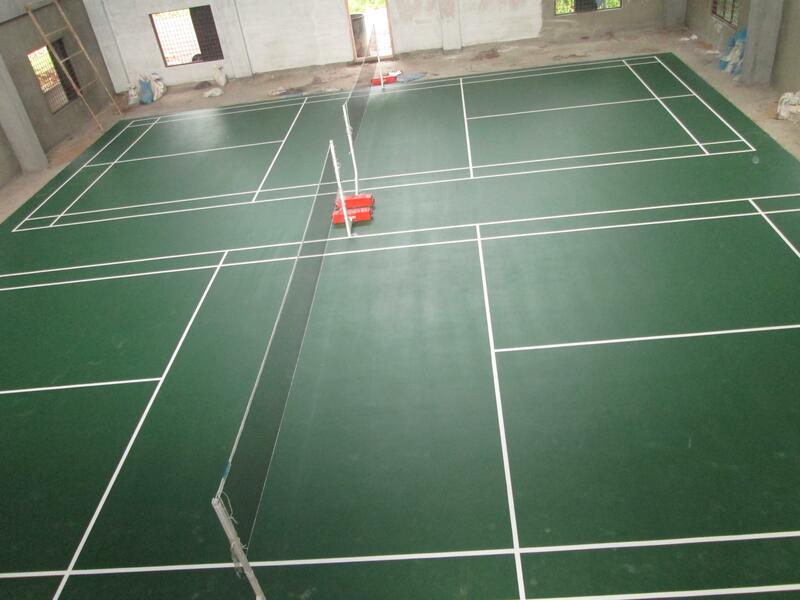 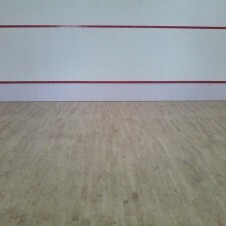 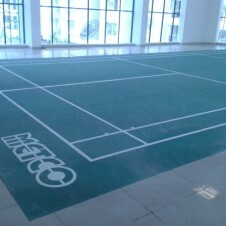 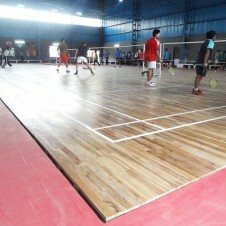 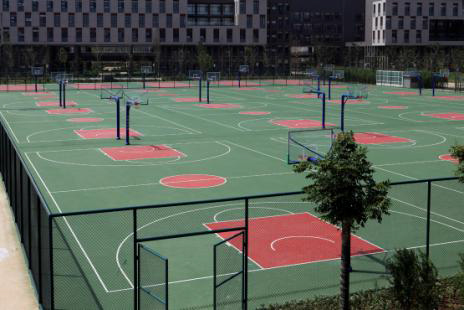 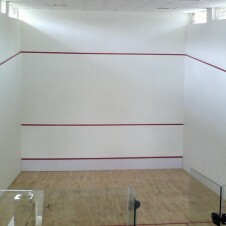 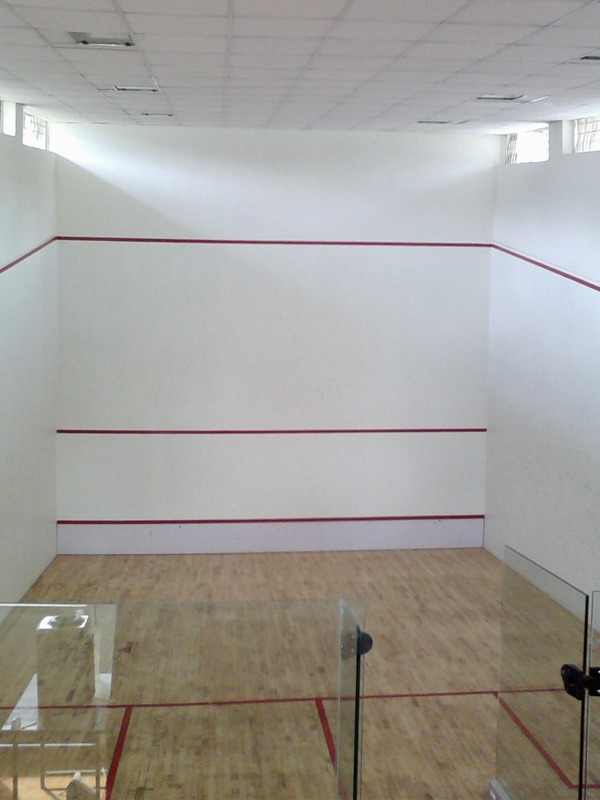 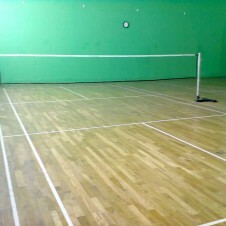 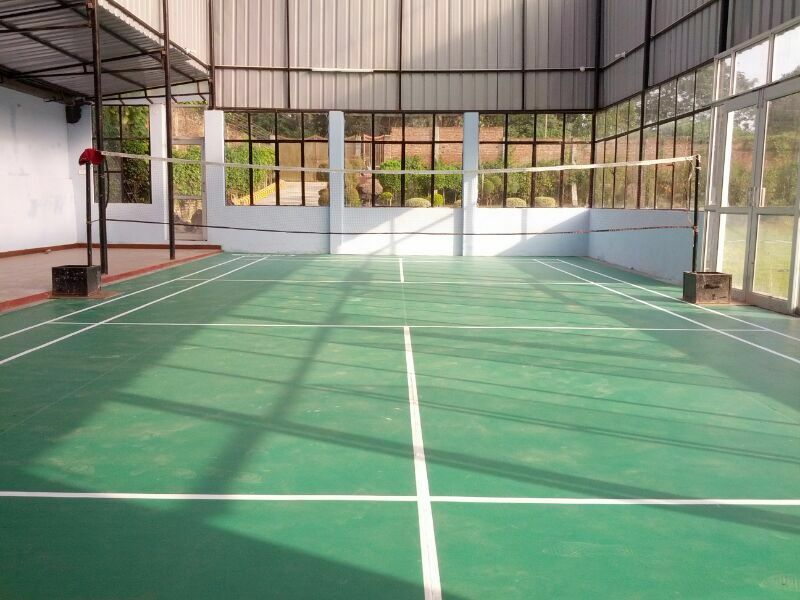 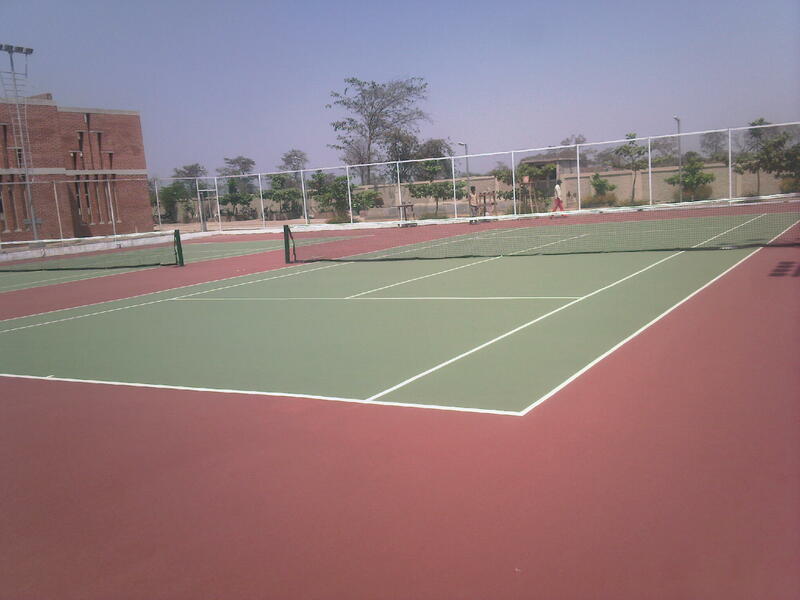 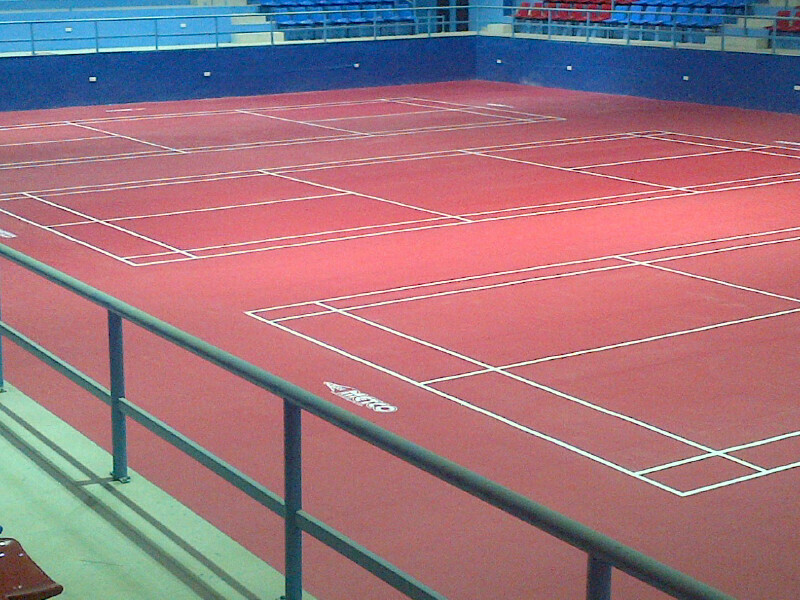 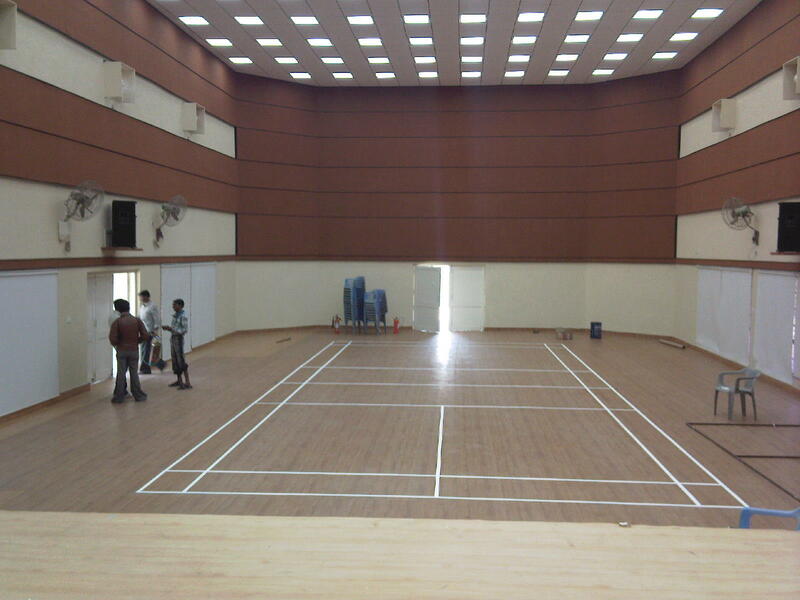 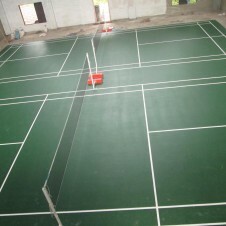 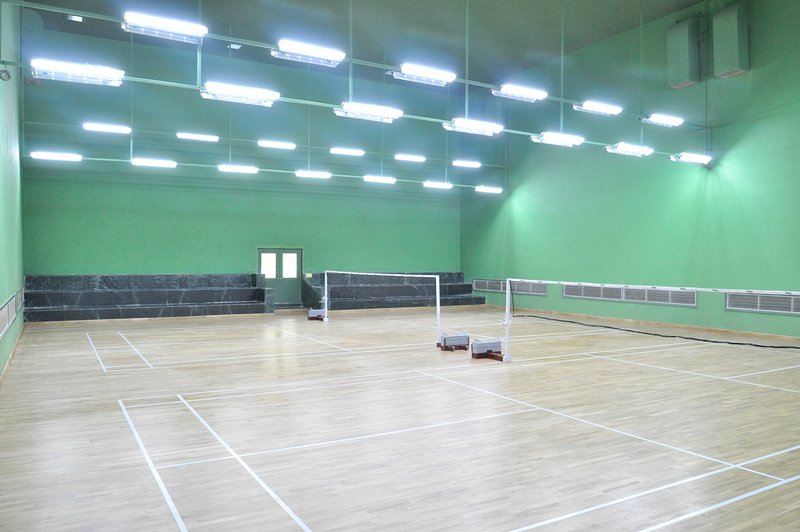 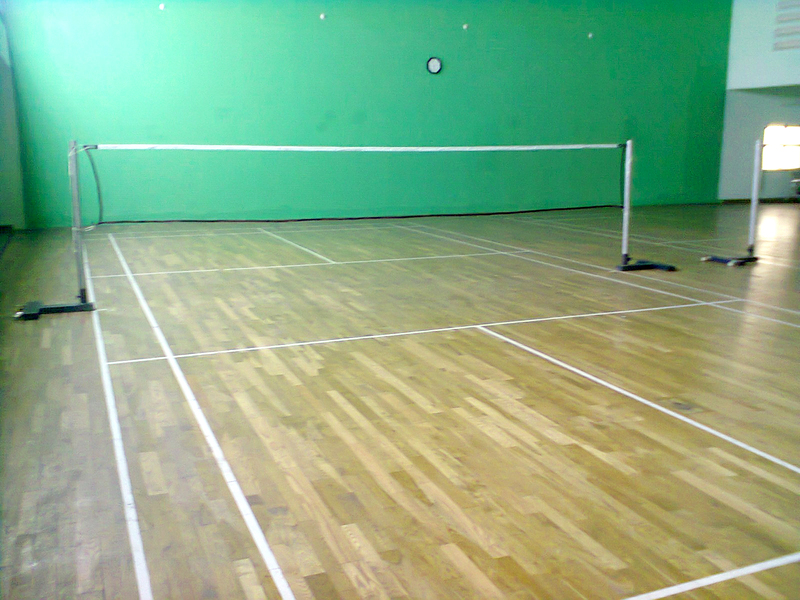 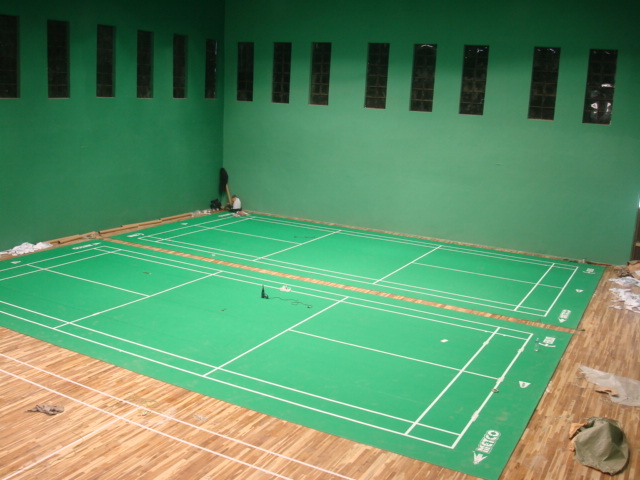 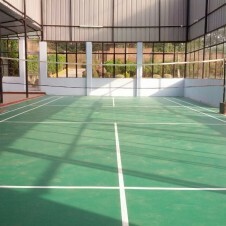 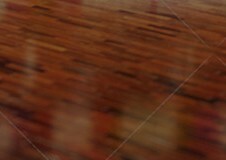 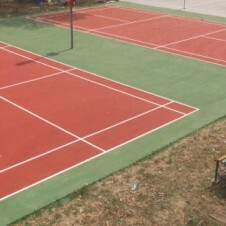 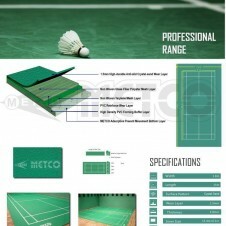 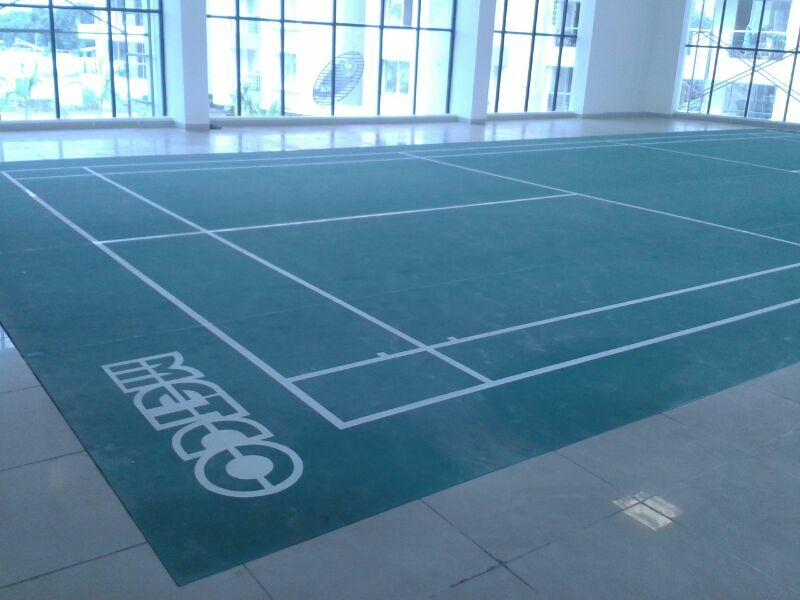 PU Synthetic Flooring is mainly used for Basketball, Tennis, Volleyball, Badminton etc. 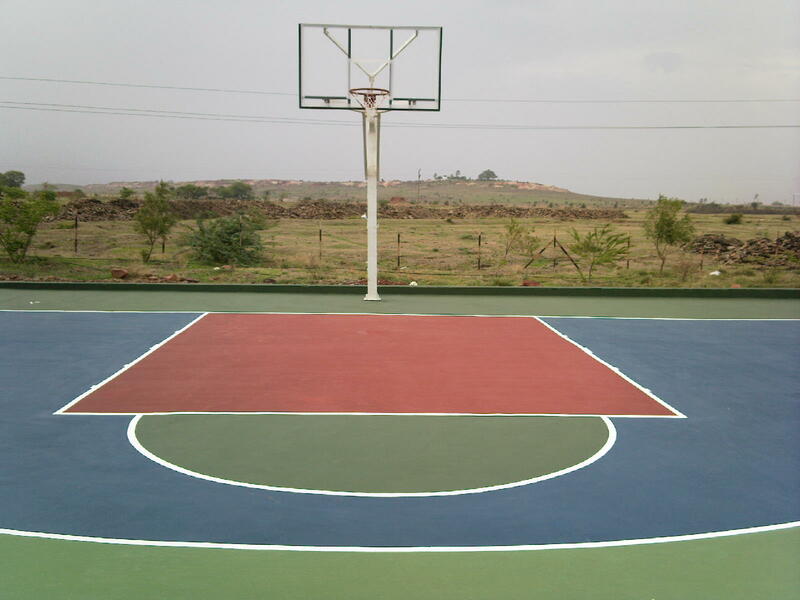 The system allows exhibition of true & even ball bounce. 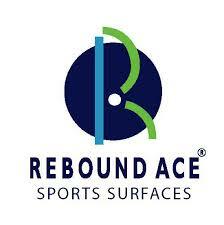 The cushion effect of shock absorbing PU sub-layer reduces player fatigue & reduces impact on players’ knees. 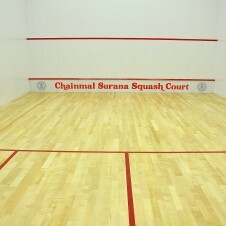 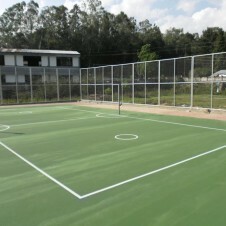 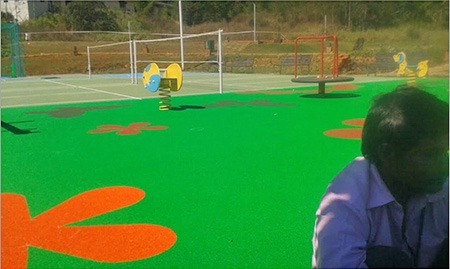 The surface is anti-skid which provides safety to the players. 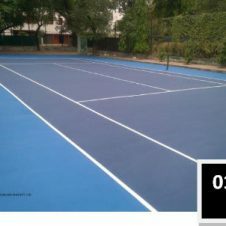 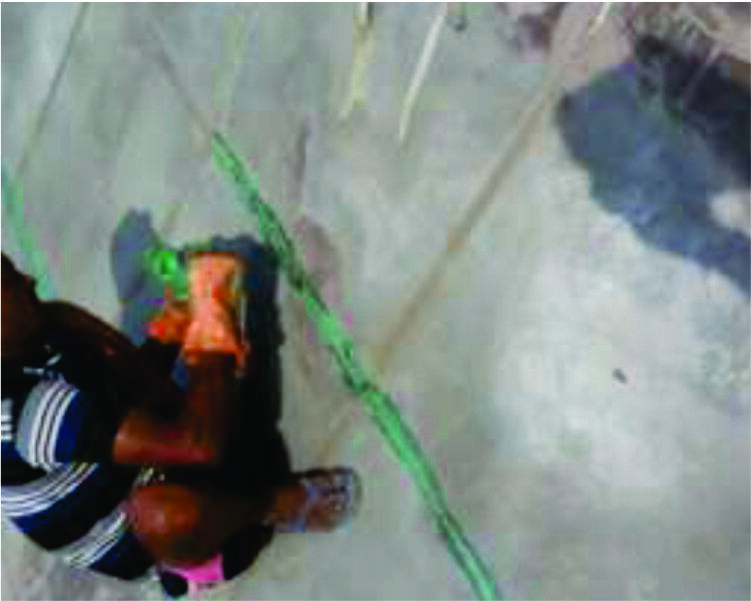 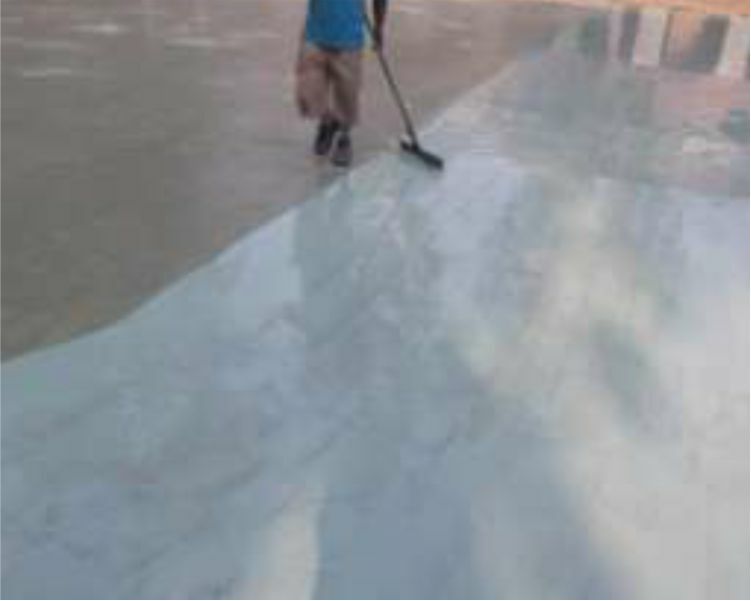 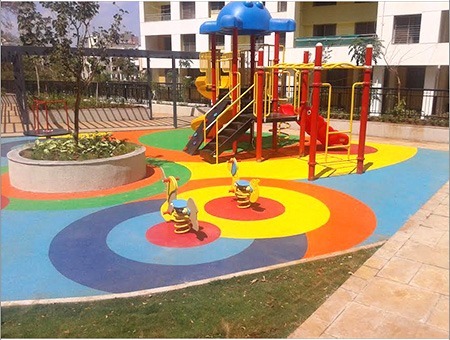 with the outcome, which was due to our trained applicators and unmatched material quality. 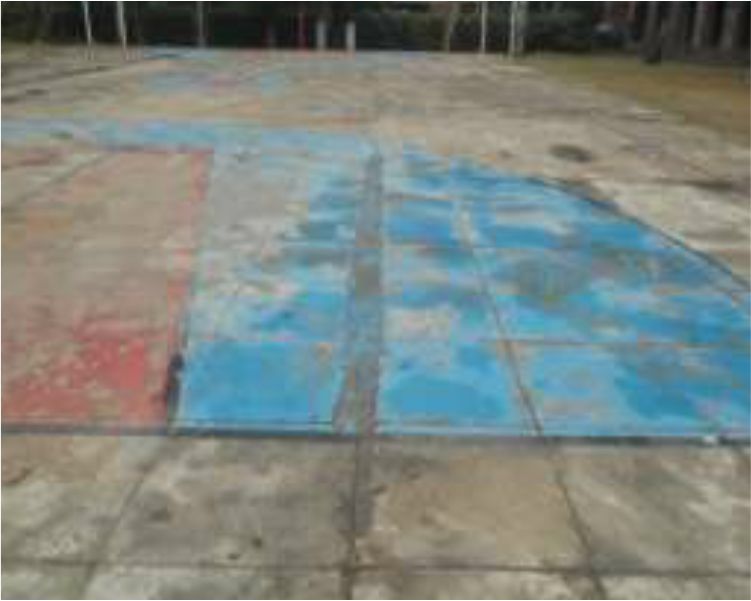 The surface was checkered concrete with hallow blocks, cracks and cement patching and uneven blocks. 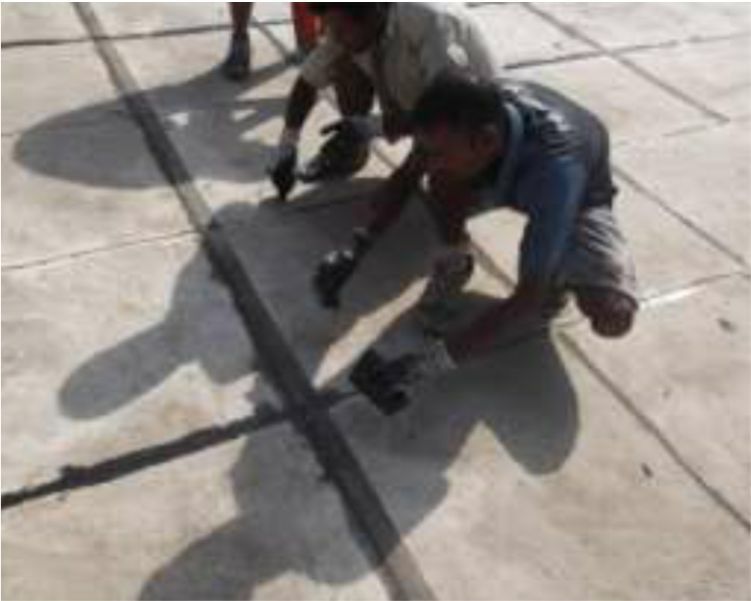 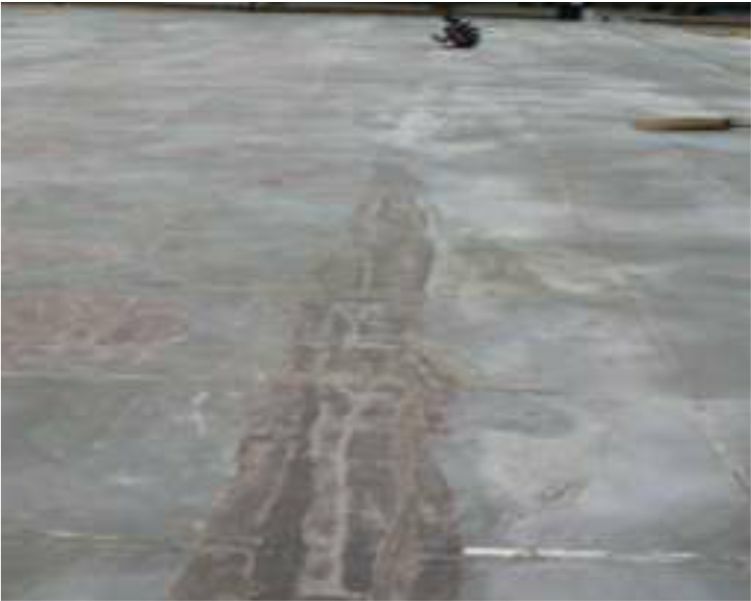 Every expansion joint was filled with special crack filler bridged over with firm PU. 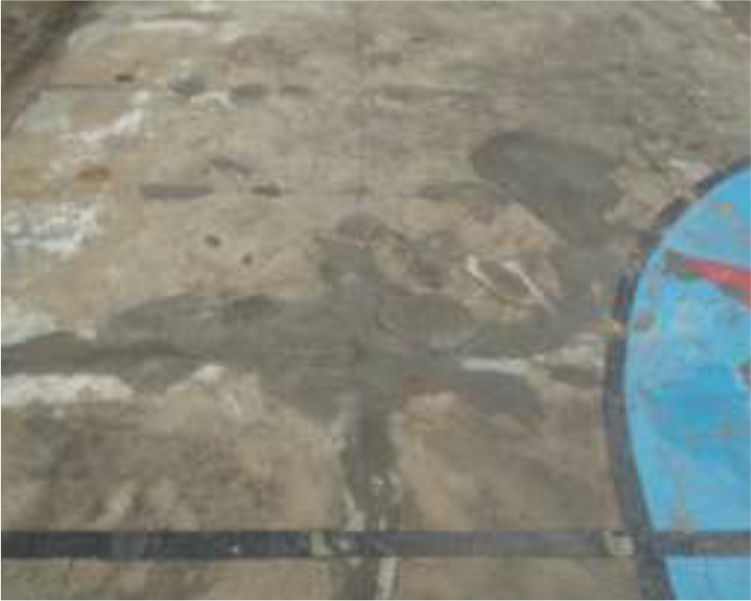 Low area were patched with special patch compound and hallow area were hacked and filled with special material. 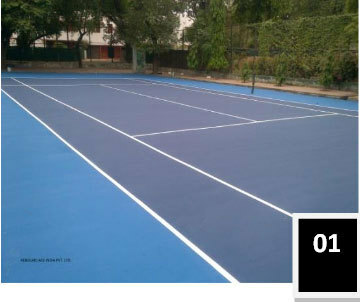 In total 9 layers were applied. 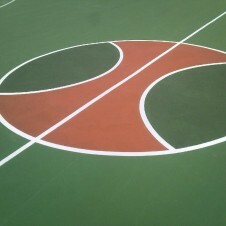 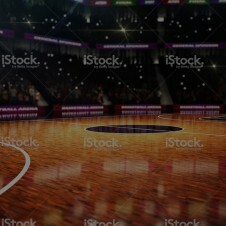 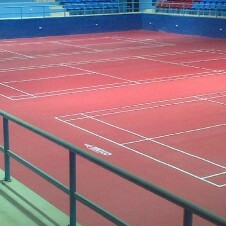 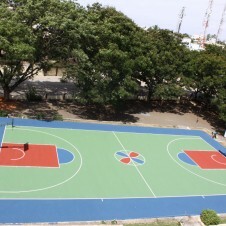 Court was made in color combination of three colors with non playing and D in Red, Playing in Green and 3 Pointer in Blue.